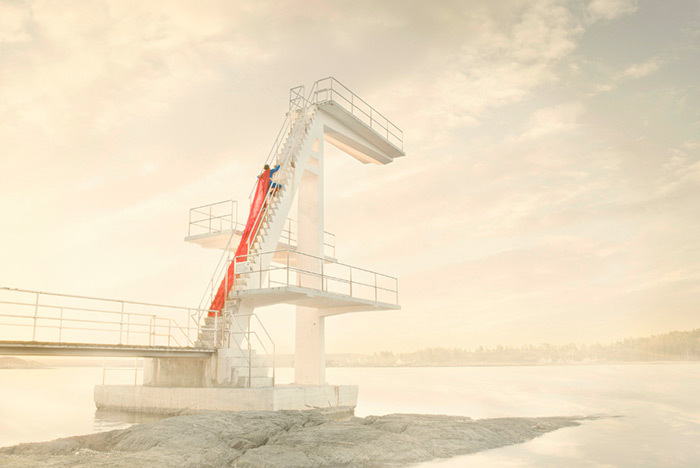 Photo series of a Superman who can't fly by Oslo-based fine art photographer Ole Marius Joergensen. 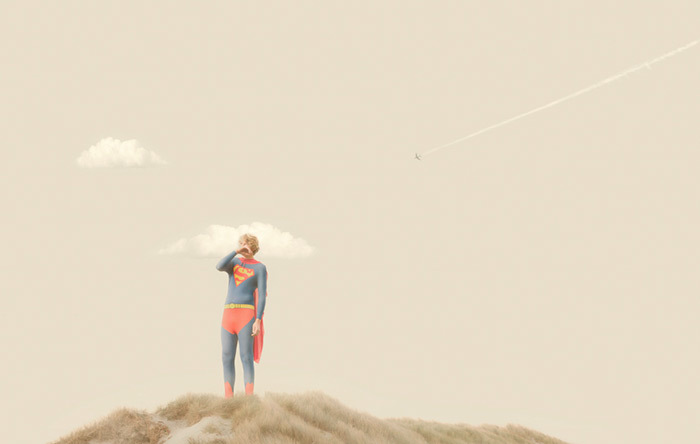 The project shows the superhero as a real human being who is willing to try anything to be able to fly but fails miserably. 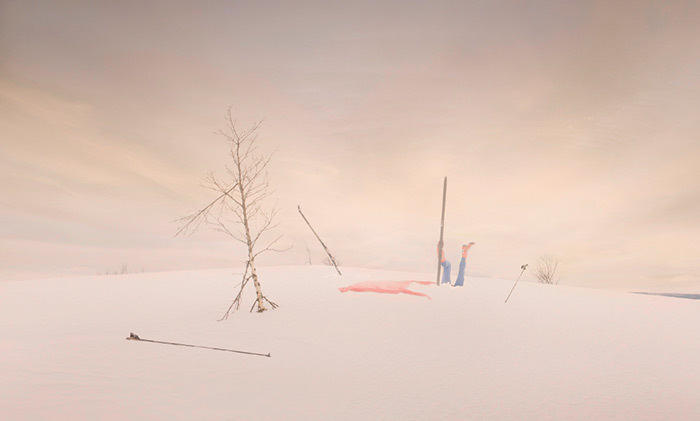 Joergensen combines humor and a Norwegian sense of surrealism in his work and finds inspiration in old folk tales and Nordic sagas. Many of his iconic images reflect the dreams and fears of his countrymen as well as raising questions of identity. 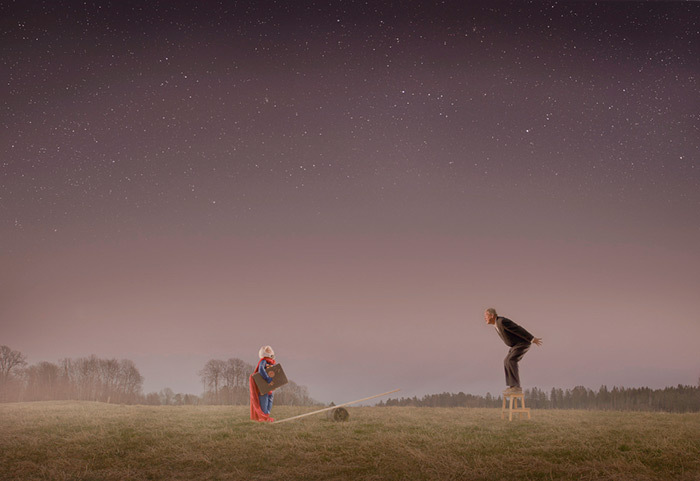 At the age of seven, I became obsessed with Superheroes. It was the only thing I could think of. I loved their meaningful and adventurous life. I was taken by their colorful costumes. My mother made me one. As children we are driven to pursue the unattainable, but to no avail. I remained the same little boy chasing my dream. 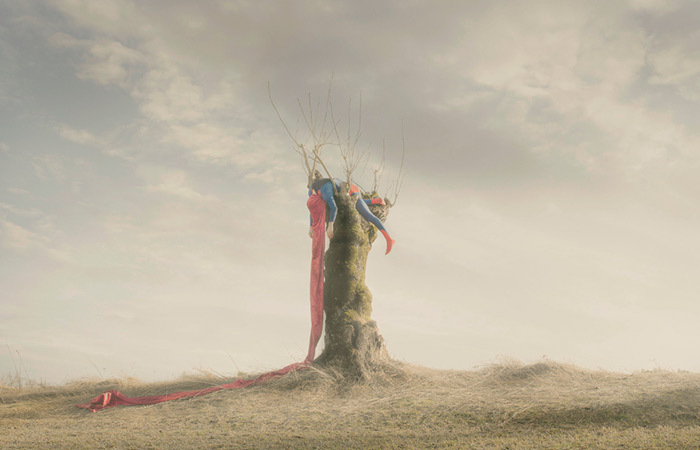 When I grew up, I decided to make Superman the subject of a photo series. 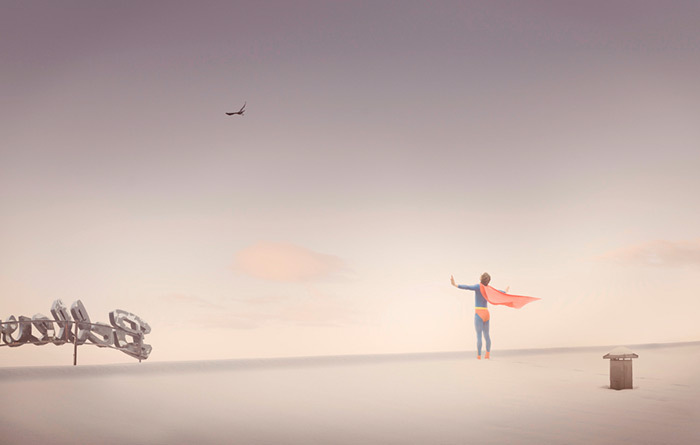 My project shows the character of Superman as a real human being, going after the impossible mission. 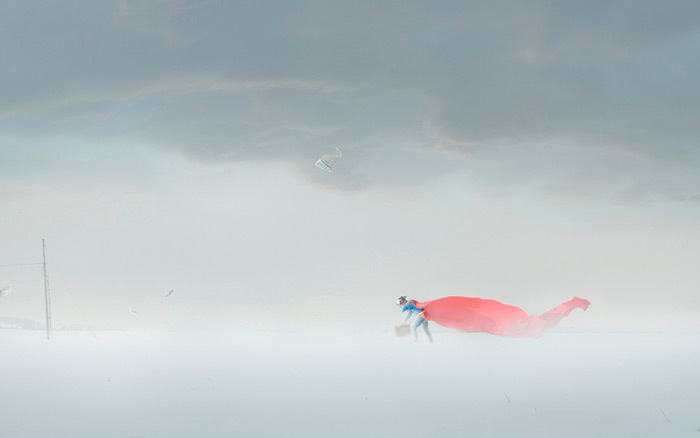 His big dream is to fly, regardless of the consequences—it's trial and error. 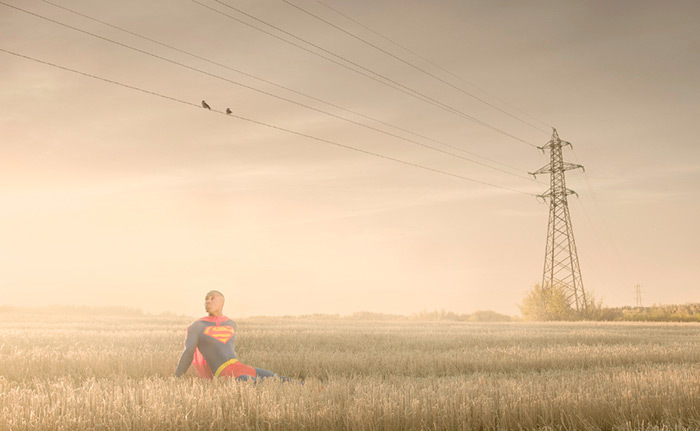 Photo series of a Superman who can't fly.